Belize City, Tuesday, June 20th, 2018: A Belizean delegation, comprised of senior members of the Belize Tourism Board (BTB), five professional chefs and a bartender, will depart the country on Thursday, June 21 to participate in the Taste of the Caribbean, to be held from June 22nd to 26th, 2018 at the Hyatt Regency Hotel in Miami. The team will include Chef Robertus “Rob” Pronk, as the team manager, two senior chefs, Eva Longsworth and Sean Kuylen, pastry chef, Maria Urbina, bartender, Mark Jacobs and junior chef and winner of BTB’s 2016 Culinary Scholarship, Einar Marin. 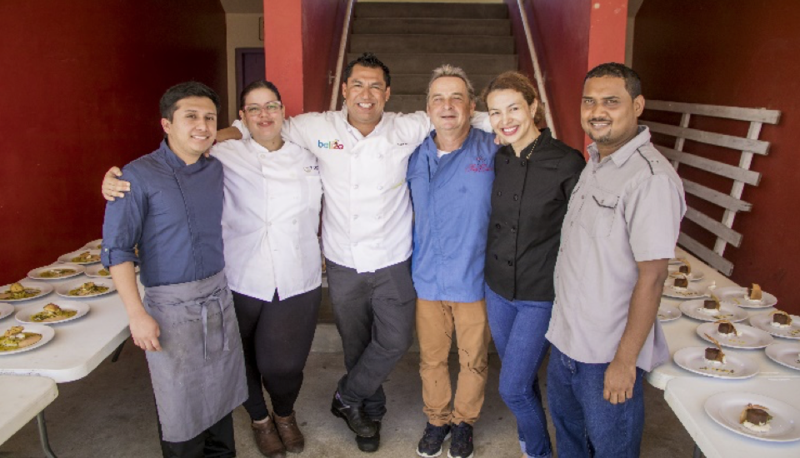 All except Marin are former winners/judges of BTB’s Taste of Belize in 2016, a flavorsome event that features the best of Belizean cuisine creations through different categories of competitions. Taste of the Caribbean is the region’s premier culinary competition, food & beverage educational exchange and Caribbean cultural showcase. Since 1993, the Caribbean’s best chefs and culinary teams unite at Taste of the Caribbean to compete, demonstrate their skills, learn from each other and offer the general public a scintillating exhibition of the most delectable culinary treats. One of the main objectives for the Taste of the Caribbean is to provide a platform for the development of food and beverage professionals. Educational sessions will be provided and participants from Belize will use the opportunity to learn and enhance their skills and knowledge. They will also compete against the Caribbean’s finest chefs. The event is also a great opportunity to promote Belize, its culture and excellent cuisine. Caribbean National Team of the Year; Caribbean Chef of the Year; Caribbean Junior Chef; Caribbean Pastry Chef and Caribbean Bartender. Our dynamic Belize team is thrilled and ready to represent the Destination! In this light, they conducted their final practice session on Sunday, 10th June at the ITVET Kitchen where 40 three-course meals, similar in concept to the ones they will be presenting at Taste of the Caribbean, were prepared. In addition to Taste of the Caribbean, there will be a Caribbean 305 event on June 23rd at Jungle Island also in Miami, where all the flavors of the Caribbean will be on full display. Participants will have the opportunity to enjoy the gastronomic delights of top chefs, bartenders and Hall of Fame mixologists from over 17 Caribbean countries and dance the night away with contagious Caribbean music. Belize’s participation in Taste of the Caribbean is part of BTB’s and our tourism stakeholder’s joint and ongoing marketing efforts to promote Belize as a unique, Curious Destination.